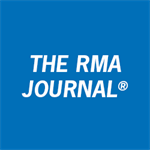 The RMA Journal® is the award-winning magazine published by The Risk Management Association. It is the only professional journal written by risk practitioners for risk practitioners. The RMA Journal® is the award-winning magazine published by The Risk Management Association. It is the only professional journal written by risk practitioners for risk practitioners. Each article is peer reviewed by our Editorial Advisory Board prior to publication. Published 10 times a year, The RMA Journal offers practical advice on managing risk across the enterprise. It focuses on the basics of lending and risk management while also offering insights in how to deal with the challenges of today’s global environment. Credit, market and operational risk, as well as regulatory, accounting and securities lending issues are also featured. 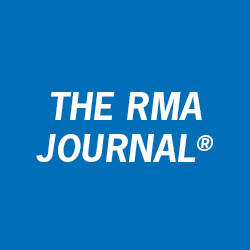 About 18,000 RMA members receive the Journal and pass it among coworkers. Its estimated secondary readership is 100,000.